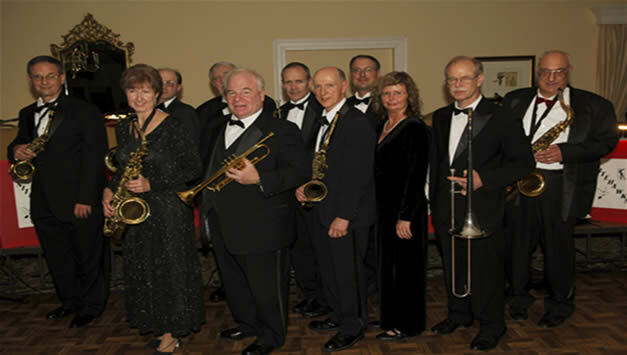 This Washington DC Big Band has been entertaining audiences around the Washington DC metropolitan area for over 15 years. Based in Northern Virginia, they play music for your listening enjoyment or dancing pleasure. 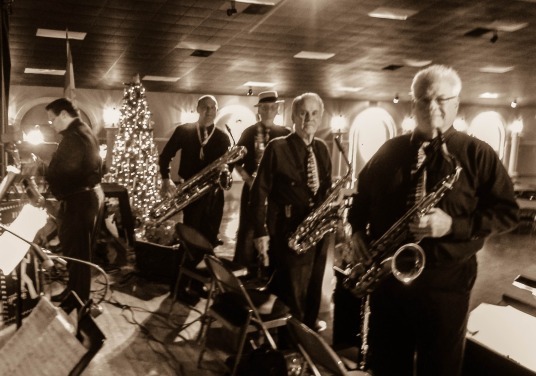 From big band dance arrangements of Glenn Miller, Count Basie, and Duke Ellington to high energy jump and jive tunes, and slow, belly-rubbing ballads, and even a little rock & roll, they will set the mood and keep you dancing through the night. With our full group of Brass, Reeds, Rhythm and Vocals, they can provide the full big band sound. To add to the fun, this Washington DC Big Band occasionally “loan” out a member of the band for dancing with the ladies. Or, if swing dance lessons will help your guests get started, a dance instructor can be provided. You select the musical style that best suits your event: music for a dinner-dance; music for a New Year’s Eve, holiday or patriotic celebration; music for a private garden reception under a backyard tent; music for a fundraiser or corporate function; a concert in the park; or music for a community event. Perhaps you want a style other than Swing, or can’t accommodate the full size band. A smaller combo or trio can provide mood music during dinner or for events with space limitations. Our musicians are versed in a range of musical styles. With our extensive experience, you can be confident that your most important event will be in great hands. So give this Washington DC Big Band a call and “Let’s Get the Party Started!